Turner's B/R Live brand is offering a refund to those who experienced technical difficulties during the Phil Mickelson-Tiger Woods pay-per-view match in Las Vegas. Technical difficulties marred the event, which was billed as golf's first pay-per-view broadcast. Eventually Turner and Bleacher Report representatives sent out links on social media allowing people to view it for free on their computers and mobile devices. Some viewers unable to view it on their televisions after paying $19.95. There were over 500 people on hold online waiting for assistance during one point. Mickelson won $9 million in Friday's match, which went to four extra rounds in the dear to 22 holes when the two players remained tied. 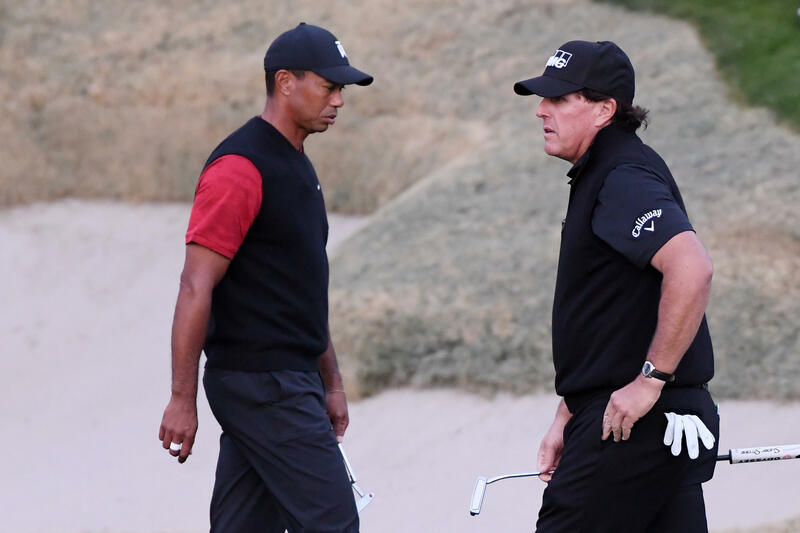 Mickelson and Woods had played 18 holes of match play in back-and-forth fashion, though Mickelson did not trail until late in the day, CBS Sports reports. They played the 18th again for good measure after being tied following regulation. Then it got dark and they hit the practice area for three laps. The denouement of the entire match came on the 17th hole in regulation. Woods, 1 down at the time and facing elimination, chipped in from the back of the green to tie the match up and send it to the 18th. "I did not want to have that match end on that hole," said Woods.